I had the pleasure of teaching my first weaving workshop at Tiny Lights Festival a few weeks ago in Ymir, BC. This festival is dear to my heart. 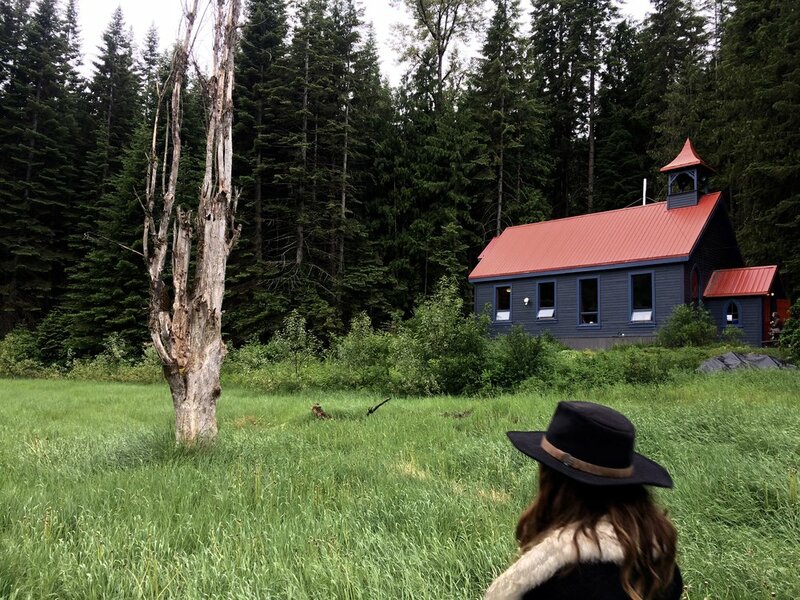 Nestled in the west Kootenay mountains, in a small & vibrant town, people of all ages gather to listen to music in the schoolhouse, the church the ymir hotel, and many other beautiful and unique venues, creating a living room performance energy. Having lived in the Nelson a few years ago, this festival is such a treat to be apart of, seeing familiar faces and dear pals, the supportive energy of these people is nourishing. I taught my workshop in the cabin, where about 20 people showed up to learn how to weave on a hand loom, which basically is a picture frame, a piece of dowel, and yarn, quite simple, yet it creates a warp (the yarn loaded on the frame) and the weft (the yarn added onto the frame) which is the same set up as any other loom. It was inspiring to see everyones' group creations come together, and watch their creative process. It especially inspired me to watch a young girl create her piece exclaiming "I'm a master weaver!" To share what I've learnt over this past winter felt right, to pass on the knowledge and the passion of such an ancient art form, creating textile.